While most potential UK property investors immediately think of London, outside the capital there are a number of well-established cities that have grown and developed over time to become independent destinations worthy of consideration. 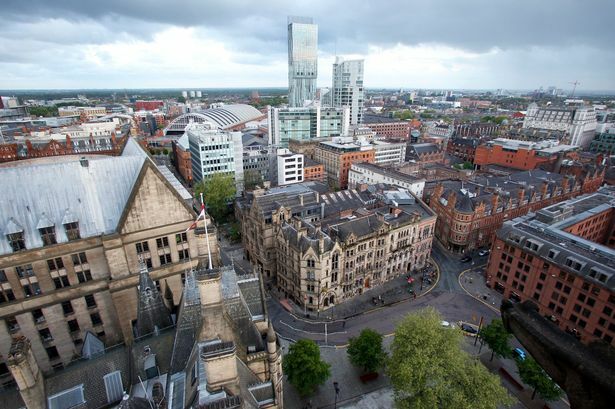 Many of these cities are in the north of the UK, including Manchester, Liverpool and Leeds, each of which have seen considerable change and vast improvements over the years. The growth of these northern areas has attracted the attention of developers and investors alike over the years, and this shows no sign of stopping. In fact, with more development plans in place for the north, it seems the north has an exciting future ahead, which many individuals and businesses can benefit from. Much like our exploration of the future of London, here you can discover more of what’s in store for the north and what prospects this could bring to developers and investors in the near future. In 2016, the government decided to give northern mayors the power to make decisions on anything that would directly impact the region. With this suggestion, they hoped the northern cities would be able to boost the local economy, allocate budgets more effectively and, ultimately, reach the potential everyone sees in the great cities throughout this part of the UK. Through this, the Northern Powerhouse was born. This initiative encourages the cities within the north of England, to come together and develop a strategy that benefits the region and boosts the overall economy. The government has allocated huge investment into this plan, which is being used to improve transport links between northern cities and the south, as well as building on skills and education and encouraging business growth and investment. By allowing the north to makes decisions about the north, it’s expected that the productivity and growth of the whole UK economy will benefit, on top of the vast improvements it will drive in these northern cities. Whilst the Northern Powerhouse strategy is ongoing, there’s no doubt that this initiative is and will continue to increase the number of jobs on offer in the north, as well as the skills base individuals can develop. These opportunities are proving very popular, so much so that many are choosing to relocate from the south and to these northern cities, based on the prospects available there. It’s this demand that provides developers and investors with increasing opportunities to build properties and provide a place to live for these individuals. With the cities constantly developing and growing, investors are enjoying a fruitful return on investment, as property prices and rent prices rise. There are many plans either in place or currently being rolled out, concerning investment in transport links to and from the north. These improvements are helping to make the northern cities more accessible to those on the other side of the country and internationally, too. The HS2 is expected to connect over half of the country’s population, by providing a high-speed rail network that will boost rail reliability, reduce congestion and, overall, provide a much better way of travelling across the country. Whilst there have been some concerns about HS2, it cannot be denied that its introduction will vastly improve the accessibility to and from the north, creating more career and residential opportunities. There’s also the Great North Rail Project, which involves billions of pounds being invested into the northern railway lines. By 2022, the project hopes to improve the connections between northern cities, which will not only grow the accessibility of the many jobs being created but will support the growth of the local economy, too. Rail transport isn’t the only area that has been invested in, either. In fact, a £1bn investment has been provided to Manchester Airport, which offers up the opportunity to expand and improve on its international terminals, as well as to cater for the increasing numbers of passengers it receives every year. There have also improvements to the number of direct flights Manchester Airport can now offer, including direct flights to San Francisco, thereby connecting the upcoming digital industry here, with the well-established digital industry over in Silicon Valley. All of this means that northern cities are much more able to reach new horizons, which could improve business opportunities and grow the economy. In 2017, the first ever Mayor of Greater Manchester was elected and, since then, Andy Burnham has been presenting his thoughts and plans for the region’s future. From reducing the levels of homelessness in the area, to reducing traffic congestion and boosting the already excellent digital industry in the region, his very realistic expectations are guaranteed to make the area an even better place to live and work. 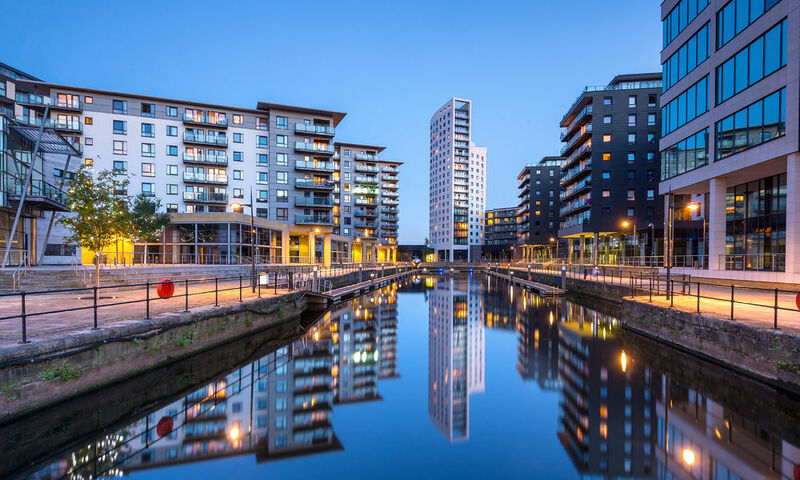 It’s no wonder why property developers are making the most of all available opportunities in and around the city, with areas including Lowry Wharf and Ancoats providing increasing numbers of residential property. Yet even with the huge economic boost and with many people choosing to stay or move into the area, property prices are still much lower than the capital, which makes the investment even more appealing. What’s in store for Liverpool? Some of the plans for Manchester’s future ring true with Liverpool’s as well. Hopes to reduce homelessness, more affordable travel and delivering a “skills revolution” through an increase in available apprenticeships, are just some of the plans in place for the Merseyside city. There’s also the promise of providing at least 25,000 new homes and an ambitious renewable energy project in place, all of which work towards the idea of growing the city and improving its prospects. 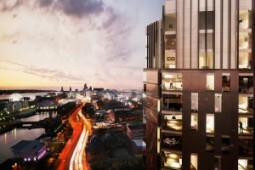 Leeds has always been a popular city for investment, particularly amongst foreign investors. However, its future plans are set to further increase its popularity, particularly amongst local investors who reside within the UK. This trend will ultimately drive demand and encourage further growth within the region. Multi-millions transport projects are set in place, which will provide more accessibility into and around the city, as well as preparing for the introduction of the HS2 in 2033. There’s also the renovation of the old British Gas headquarters which will provide a number of modern skyscrapers filled with residential, commercial and retail space. Not only that, but projects aiming to create new districts and modern destinations within the city are taking place, including the rejuvenation of Leeds South Bank and Leeds Kirkgate. All of these plans will work together to turn an already desirable location into an economic hotspot in the north, competing with the ever-growing cities of Manchester and Liverpool. These factors influencing the north mean developers and investors are increasingly looking to Manchester, Liverpool and Leeds property as a way to make profitable returns on investment in the years to come. 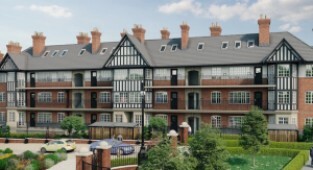 Improved accessibility to other areas of the UK and to international destinations, alongside the cheaper overall cost of living compared to the south and exciting plans set in place for the years ahead - the list is endless on what opportunities are available for investors and developers considering a place in the north. There’s no doubt that these areas are quickly becoming appealing options for like-minded people both in the UK and worldwide, so you can expect the demand for a greater buy to let market to increase, as well as property prices to increase over time. With all this in mind, could now be the best time to invest in the north?